Friday evening, Cook County Circuit Judge Vincent Gaughan sentenced former Chicago police officer Jason Van Dyke to 81 months, or just under 7 years, in prison for second-degree murder. Prosecutor Joseph McMahon, sought a sentence of 18 to 20 years for Van Dyke, but Judge Gaughan considered the murder charge instead of 16 counts of aggravated battery, which would have required a longer sentence. After a day of emotional testimony from family members, colleagues and witnesses, McMahon insisted that the result was just and that he was satisfied. With good behavior, it's possible that Van Dyke could end up serving only three years. 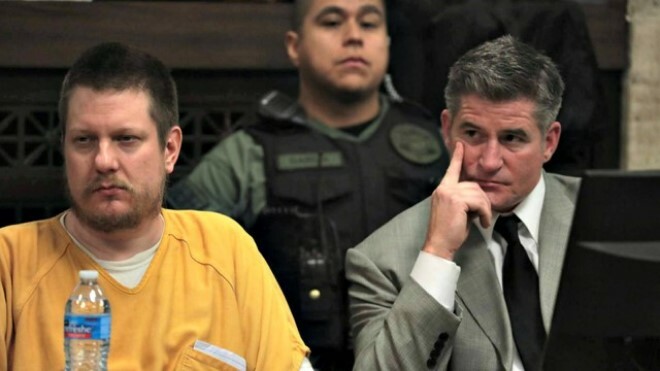 Van Dyke was found guilty by jury in October 2018, a landmark moment and the first conviction of a Chicago police officer for on-duty conduct in more than five decades. The murder occurred in 2014, when Van Dyke shot seventeen-year-old Laquan McDonald 16 times after ordering him to drop a knife. Dashcam footage that surfaced more than a year later showed McDonald largely defenseless and posing little threat before being shot to death. Many Chicagoans protested, expressing disgust at the State’s Attorney and Mayor for attempting to cover up the video to avoid charging Van Dyke. The five-year gap between officer convictions reflects a certain culture of protectionism around Chicago’s cops, which many have argued this trial has underscored. Three officers accused of operating under Chicago’s infamous ‘code of silence,’ by lying about McDonald’s shooting and ushering eye witnesses away from the scene, were acquitted the day before Van Dyke’s sentencing. Chicago activists and residents alike have been affected by both of these decisions, with many seeing each as a great injustice. Lamentations of Chicago’s and, more broadly, America’s lasting racial inequalities have fueled much of the anger. "This sentencing only emphasizes the fact that our justice system was never made to, and never will, serve black bodies," Medill sophomore Emma Evans said. This anger has translated into more protests as Black Lives Matter groups and others took to the streets this weekend to voice their outrage. Others have called for seeking change at the ballot box by electing new representatives who will improve the fairness of the justice system. Still, some are feeling hopeless. "This made me realize that justice can never truly be achieved through this system," Evans said.